Facing a Misdemeanor Charge in Northampton? Call a Lawyer for Help Today. Many people fail to take misdemeanor charges seriously, since they’re “not as bad” as felony charges. 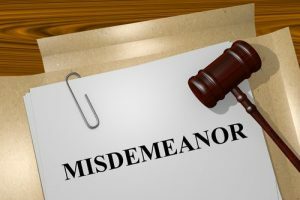 However, misdemeanors will still show up on your permanent criminal record, and you can still incur stiff penalties including incarceration, fines, community service, probation, and more. There’s no doubt that being found guilty of a misdemeanor has the potential to turn your life upside down. At the office of Criminal Defense Attorney Thomas Kokonowski., we have the skills and resources to adequately defend you against any misdemeanor charge and will work hard to see that the charges against you are reduced or dismissed.